No matter how well you take care of your skin especially your face, large pores can always pop up, which make the appearance of blemishes even bigger. Enlarged pores is really due to oily skin and may continue getting larger as you get older. There are various treatments you can do to treat enlarged pores, however, natural treatments are better than industrial ones, both in terms of quality and price. This can bother both men and women, here are some natural ways to treat them. Awkward? No! It’s vinegar and egg ingredient shrinks the pores and leave skin looking and feeling tighter. Apply a tablespoon of mayonnaise to your face and let it sit for 20 minutes. However, it is not recommended for those who have oily skin. Besides being an old product for clarifying your skin, milk serum helps reduce the size of open pores. The treatment consists of washing your skin at night. Scrub a cotton ball that has whey on your face. After 20 minutes, you should wash it with cold water. Blend 1/3 cup of almonds until they become a powder. Then, add water gradually until you get a dough. Apply this starting with your nose and going out to the areas that have the enlarged pores. Let sit for 30 minutes and then wash your face with warm water. Do this treatment at least twice a week. This lemon mask is formed by mixing a small amount of water and lemon juice. Use a cotton ball upon application . Let sit for approximately a half hour and avoid contact with your eyes. Lastly, remove the mixture with cold water. Wash your face and then rub a pealed papaya on it. You should do this with the part from inside the peal. After 15 minutes, wash your face with a little bit of hot water. The treatment is also good for the possible reduction of pimples. Just mix an egg white with a tablespoon of powdered milk. Blend these two ingredients without any foam getting out and then add in the sliced apple and cucumber. Mix it until you get a uniform paste and apply it to your face for 15 minutes. Then remove the mask with warm water. This clay mask is prepared a week before and can be used once a week In this way, the clay can make your pores breath better and remove dirt and grease from them. It reduces the enlarged pores, and absorbs excess oil. The only thing that you need to do is add a few drops of lemon to your facial cream in another container. After, mix it and apply it to your face as if it were a mask for 15 to 20 minutes. Then, remove the mixture with warm water. Perfect to apply during bedtime. Add a tablespoon of yogurt to a sliced apple. Also add a tablespoon of honey and lemon. Mix the ingredients until you get a homogenous mixture and then apply it to your face for 15 to 20 minutes. This mixture will also smooth your skin. The glycolic acid in exfoliants helps smooth deeper salicylic acid and the superior layer of the skin. 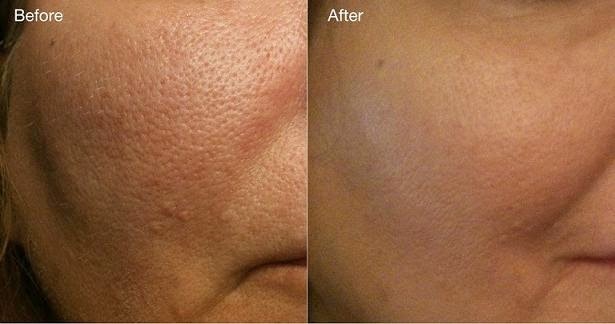 In this way, your pores become unblocked and their size gets reduced. With this, your skin is smoothed, enlarged pores are shrunk, it eliminates wrinkles and dry spots. For this reason, it is a good option for those that have mature skin and bad pores. Laser treatments are recommended as the last option because it is expensive but lasts longer. 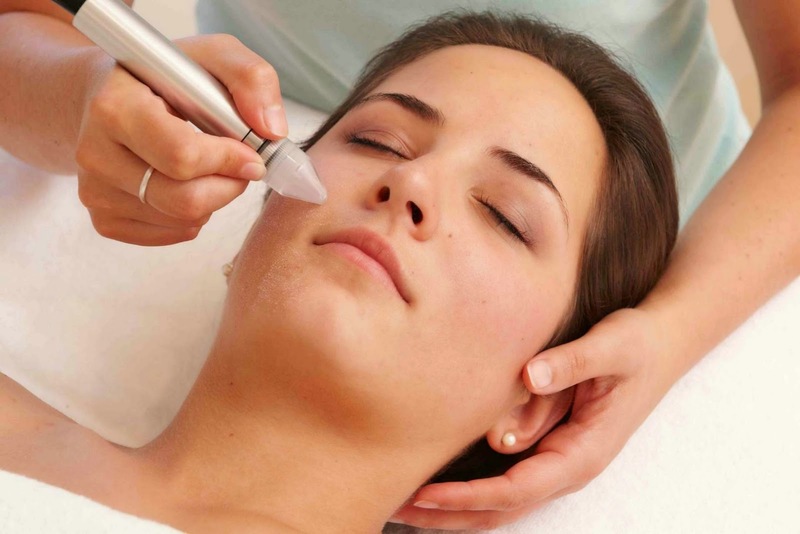 Laser treatment processes consists of a pulse of light that is directly pointed on your skin. If you use it, you have to avoid contact with the skin so that your skin does not get damaged.No matter how well you take care of your skin especially your face, large pores can always pop up, which make the appearance of blemishes even bigger. Enlarged pores is really due to oily skin and may continue getting larger as you get older. There are various treatments you can do to treat enlarged pores, however, natural treatments are better than industrial ones, both in terms of quality and price. This can bother both men and women, here are some natural ways to treat them.